Losing a family member as a result of a medical error can be extremely difficult. Each year, there are many cases involving medical mistakes that result in injuries or even death. According to the Centers for Disease Control and Prevention (CDCP), medical error is one of the top five leading causes of death in the United States. Lost financial support and companionship, among others. However, New York law does require the family member to be the decedent’s estate representative in order to file the wrongful death action and recover such damages. 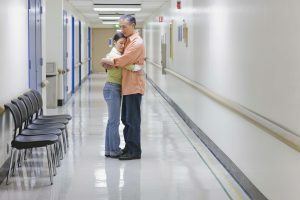 It is worth noting that a wrongful death claim must be filed within two years from the date of the victim’s death, otherwise the patient’s family will be precluded from recovering damages. If your loved one has died as a result of a medical error, it is important to contact an experienced attorney who will advise you of your legal rights and remedies. The lawyers at Levine and Slavit, PLLC are experienced in representing New York City and Long Island residents in medical malpractice and wrongful death matters. To schedule a free consultation, contact our New York City wrongful death lawyers at (212) 687-2777 or for our Long Island wrongful death lawyers call (516) 294-8282.